Based on purchase price of $3,105 at 0% APR for 18 months. Excludes tax and shipping fees, to be calculated at checkout. Rates range from 0-30% APR. Choose from 6, 12, or 18 monthly payments. All WL-K models feature carefully selected spruce tops and mahogany back and sides with a light shade top finish, vintage-style cutthrough saddle, and come sans-pickguard. Due to this model's ultra-lightweight construction, we recommend a maximum string gauge of .011" to .052". Hardshell TKL case included. 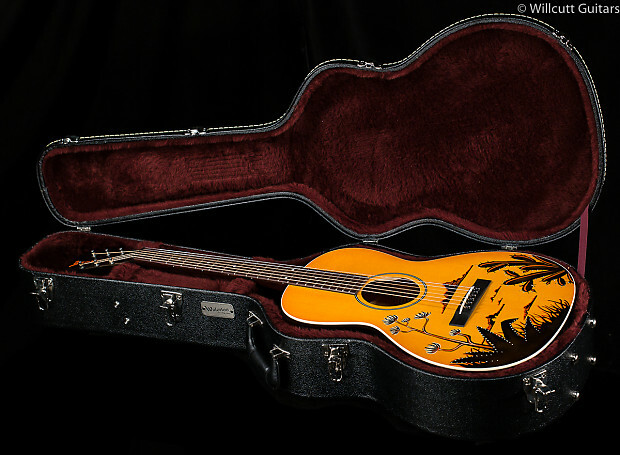 "During the Great Depression, the budget-minded Kel Kroydon brand offered a limited number of guitars, banjos and mandolins between 1929 and 1931, before they vanished from production. 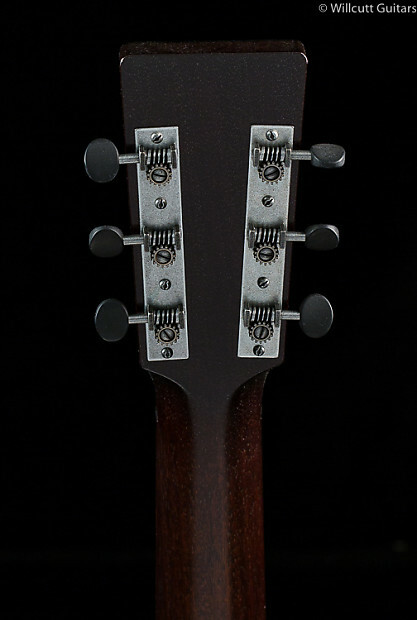 During this period, Kel Kroydon featured three guitar models; the KK-1, KK-2 and KK-3. Sold in J.W. Jenkins Sons Music catalog, these guitars were advertised as being built with "exceptional" materials and marketed as "a truly fine guitar at a moderate price." 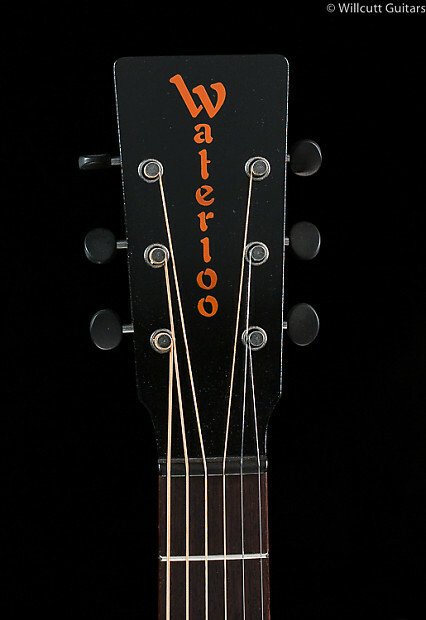 The modest KK-1 was accompanied by the KK-2, which featured a stencil painted top and the fancier KK-3 with a pearloid fretboard and peghead with orange and black stencil. These guitars weighed less than 3 pounds and compared favorably to much higher priced instruments of the era. Although information about the brand and what inspired the artwork is sparse, these guitars have become highly sought-after by players and collectors alike, achieving "holy grail" status to many accomplished finger-style players. 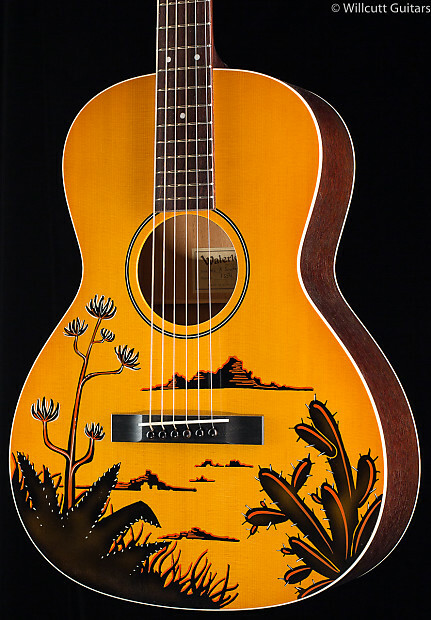 As a modern day tribute to this unique little slice of guitar history, we are excited to offer our own hand-painted "Southwest" scene on the WL-K model." Items usually ship the same day if ordered and paid for by 1 PM EST Monday through Friday. If the item is paid for after 1 PM EST Monday through Friday or Saturday or Sunday it will ship the following business day. Free shipping is via UPS Ground, expedited shipping quotes are available upon request. Free shipping is to the lower 48 only. Please contact for shipping quotes to Alaska, Hawaii, or US Protectorates. All returned items must be complete, unregistered and in the original condition and packaging with all accessories and complete documentation (Owner's Manual, Warranty Card, quick start guides etc. ), show no signs of wear or use and include the Return Authorization number provided by your sales person. Items which are not normally stocked ("Special Orders", oversized or overweight items, discontinued products, close-outs, used products, layaways, etc.) are not returnable. We offer a 14 Day Approval period on mail order items. To return an item, you must contact your salesperson within 14 Days of the purchase to get a Return Authorizaion number. Customer is responsible for all shipping charges on returned items, both to and from, and the actual shipping costs will be deducted from any refunds or credits along with any costs incurred bringing the returned item back to it's original condition. Again, returns are not accepted on the following items: Damaged Items, Modified Items, Special Orders, Layaway, Closeout Items, Oversize/Overweight Items, and/or specified Discontinued Items. NO RETURNS ON TRADES. ALL TRADES FINAL!